It’s as old a comedy cliché as they come: The wife tosses and turns as her husband sleeps soundly right next to her, snoring away. But in real life, loud snoring is no laughing matter. Of course, it prevents those who can hear the snoring from getting a good night’s sleep. But chronic snoring can also prevent the snorer from reaching the deep sleep he or she needs to get proper rest. But what causes snoring in the first place? And how can the Yuba City Dentistry Group help? When you sleep, air moves through the nose and mouth, down toward and through the lungs, passing numerous soft tissues along the way, including the tongue, tonsils, uvula (the piece of flesh that dangles from the back of your throat), the epiglottis, as well as the windpipe and vocal chords. As the air moves around the soft tissues, it may cause them to vibrate, producing sound. The sound we hear is snoring. Snoring rarely occurs when the airway is clear and without obstruction. But when something restricts the airway, the lungs are forced to work harder to pull air through. 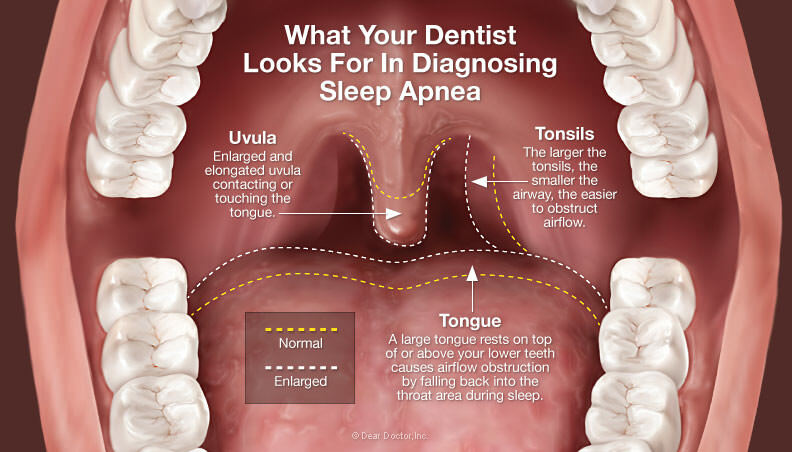 At the Yuba City Dentistry Group, our sleep specialists will closely examine your soft tissues to see if they are contributing to your snoring problem. When this is the case, your dentist can prescribe an oral appliance that keeps the soft tissue from blocking the airway. In other cases, procedures similar to orthodontic treatment may be used to permanently widen the airway and improve air flow. In some cases, snoring is a symptom of a larger problem. For example, some snorers may suffer from a disorder known as sleep apnea, which produces complications and in some cases may even be life threatening. If you or someone you love has a snoring problem, don’t ignore it! At the Yuba City Dentistry Group, we can help you determine the cause and get appropriate treatment to improve your health, and your sleep. Don’t hesitate to contact us and we’d be happy to set up an appointment.